Georges St-Pierre would be a very solid favorite according to odds makers if he actually drops down to lightweight for a fight against Nate Diaz at UFC 227 in August. Georges St-Pierre may be cutting all the way from middleweight to lightweight for a potential showdown with Nate Diaz, but that doesn’t mean he won’t be a heavy favorite by the time he walks into the Octagon. On Tuesday, UFC president Dana White revealed that the promotion is currently working on a fight that would see St-Pierre drop down to 155 pounds for a fight against former title contender Nate Diaz at UFC 227 in August. While the matchup is far from official, St-Pierre has teased a move down to lightweight in the past and facing someone like Diaz could then potentially set up an even more lucrative fight against Conor McGregor down the road. 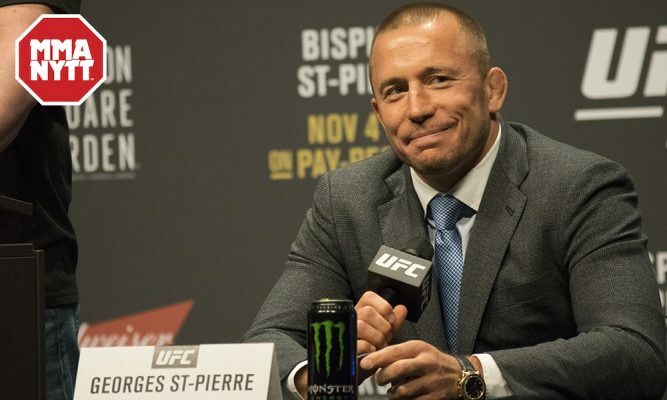 While St-Pierre has never fought as low as lightweight before and despite the fact that he’s currently out of action dealing with a bout of ulcerative colitis, the odds makers at Ohmbet still believe he would be favored to defeat Diaz. That means to you’d have to bet $250 to win $100 if you were putting your money on St-Pierre. Obviously those lines could shift dramatically if the fight actually becomes official. 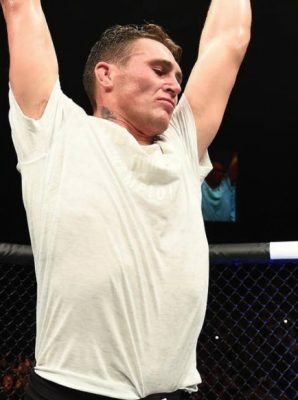 For now let the speculation begins as the UFC continues to hammer out a deal where they hope to see St-Pierre make his lightweight debut against Diaz on Aug. 4 in Los Angeles.